TidalWalk is a gated waterfront community located in Wilmington, North Carolina. Provis was asked to improve sales engagement, retention and lead capture for potential homebuyers while onsite. 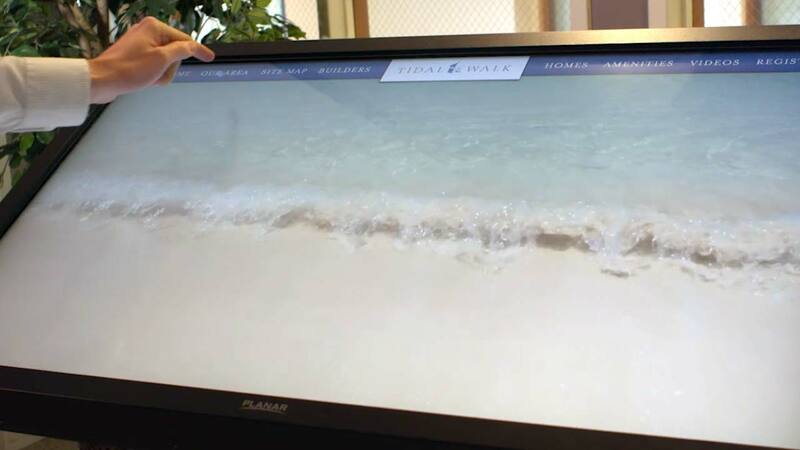 Provis delivered a touchscreen kiosk with site map, photo galleries, video players and lead capture tools.